paperback - my copy from Shannon at IPG -- thanks! 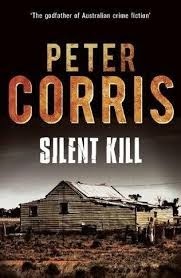 Not counting the short-story collections, author Peter Corris has written 33 series books starring Cliff Hardy, eight of which ended up as finalists for the Ned Kelly award for best novel. It's a little embarrassing, but until I was asked to take a look at this book, I'd never heard of Peter Corris before. I also need to say that it is a bit daunting and a bit of a disadvantage to start with this latest book. I have no clue, except for little peeks here and there, about Cliff Hardy's past or exactly who he is as a character. 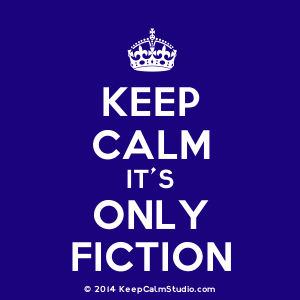 Normally I'd go back and read what I'd missed prior to writing about a later series novel, but this time, well, you know -- thirty-something freakin' books to catch up on is just a little much. PI Cliff Hardy gets a visit from Jack Buchanan, "ex-commando, ex-stuntman, and actor." He's also someone Hardy hasn't seen in ten years. He has an interesting proposition for Hardy, who as it turns out, needs the money -- business isn't so good, and Hardy needs something to occupy his time as his girlfriend has just left for Los Angeles and probably won't be coming back. Buchanan wants Hardy to serve as a bodyguard for a client of his named Rory O'Hara, who Hardy describes as a "firebrand." O'Hara had worn a number of hats in his past, including student agitator, "crusading journalist," an MP, and since inheriting a lot of money, he's become "self-funded righter of society's wrongs." Lately he'd been a whistle blower on a big development backed by "shonky" financing, corrupt officials, and falsification of reports. O'Hara had people on the inside gathering info for him, and he'd published his discoveries online. Now he's just coming out of the hospital after being the victim of a hit and run, and has a tour planned to talk about his plans to "clear up more" wrongdoing, and "reveal stuff about a big political shake-up." Buchanan wants to make sure that his investment in O'Hara's tour remains sound -- and wants Cliff along to make sure nothing happens to O'Hara, since his whistle blowing has left him with a lot of enemies. Sounds simple, but things start to go wrong almost right away when a woman on the tour is found dead, putting Cliff out of a job. But wait. Her brother offers him a lot of money to find out who killed her and why. Starting with the group of people on the tour, Cliff soon begins to discover that there's much more here than meets the eye - ultimately putting himself and a woman he's fallen for into a great deal of danger. As he moves across the country, he also realizes that someone is pulling a lot of strings -- but exactly who and why is what he has to find out. Silent Kill is not a difficult book to read, and Corris writes very simply. I sort of felt sorry for the main character, because what I did manage to glean from the little bits of his past here is that he's not lucky in love, and he's just getting back to a good relationship with his daughter. He seems like a tough guy on the job, although kind of woebegone in the personal zone. The story takes a convoluted path but is easy to follow, plausible, and it becomes a hybrid mystery/thriller that kept me turning pages. Although the murderer is identified before the end of part one, and that piece of the mystery is over, there's still Hardy's "simple problem" to solve: who was so worried about what O'Hara might do with his recent information that they set a killer in his midst? Here things sort of move into thriller zone, not my usual fare, but for those who enjoy them, there's plenty of high-powered action, conspiracies to sink your teeth into, and a solution that resonates with the times. All you have to do is pick up a newspaper to confirm what I'm saying. Overall, it's always fun discovering a "new" author -- although Corris has been around a long time, he's a new blip on my international crime author radar that needs tracking. I think I'd recommend Silent Kill to people who are intrigued with thrillers that lean toward the action-packed, political side - not my usual forte but I did enjoy the way the author writes and above all, I enjoyed meeting Cliff Hardy. my many thanks again to Shannon at IPG, and I LOVE sharing the books I get with publishers, so if anyone in the US would like my copy, please let me know and it's yours. You could try a much earlier Cliff Hardy book, The Empty Beach, which was filmed with Bryan Brown. My personal favourite, not everyone's, is the really early The Marvellous Boy, which does have echoes of Ross Macdonald in the family relationships. These and most of the others are genuine private eye outings. My thanks for the recommendation. As noted, I'm not really into thrillers, so I'll look forward to more of the PI side of Cliff Hardy.